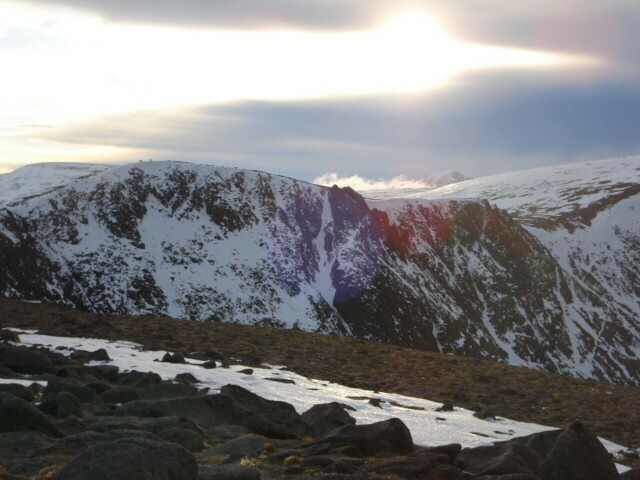 Today was lovely on Cairngorm and we were very sheltered in Coire Cas only founding it a bit breezy when we reached the plateau. 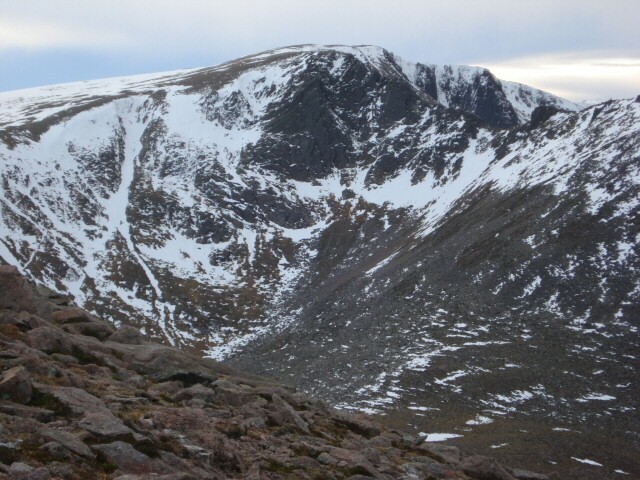 The snow was frozen and amazingly hard so great for crampon practice but not so nice for ice axe breaking! 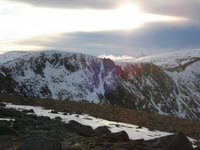 We enjoyed a leisurely wander up to the summit of Cairngorm enjoying the views over Loch Avon and the cloud pouring over the lower hills to the south. Very atmospheric. 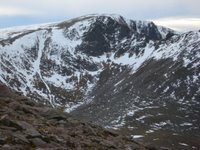 Pictures of Coire an t-Sneachda above.